A new Pew Research Center poll on Mobile Messaging and Social Media reveals that Pinterest is currently the second most popular social network site among online U.S. adults. Facebook, of course, continues to hold a dominant first place position. According to the data collected between March and April of this year, 72% of online adults use Facebook, up a percentage point from in 2014. Pinterest continued its growth from 15% of online adults in 2012 to 31% of online adults – about one in every three Internet users is now on the site. 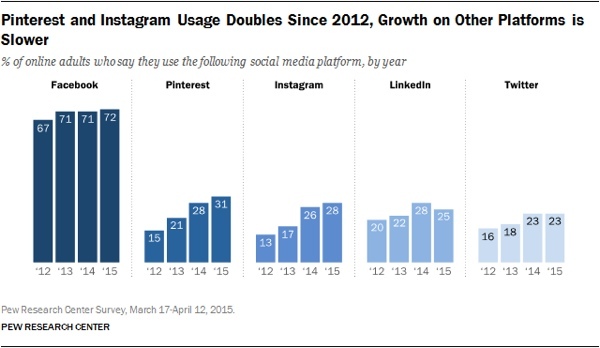 In comparison, 28% of adults are on Instagram, 25% are on LinkedIn and 23% are on Twitter. LinkedIn is the only network to seriously hemorrhage users over the last year. Women are the major factor in Pinterest’s rise as a social media powerhouse, outnumbering men on the social network by better than two to one. The survey shows that 44% of online women use the site, as compared to just 16% of men. Facebook and Instagram, too, are more popular with women, though not by nearly as large a disparity. The survey also reveals that Facebook is the most engaging social network of the bunch, with 70% of users checking the site every day and another 21% checking in weekly. 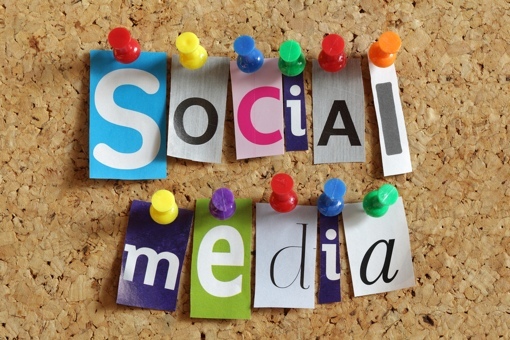 Approximately 59% of Instagram users check in daily, as do 38% of Twitter users.